Trauma Happens. So does healing. Michele Rosenthal is an award-winning trauma and PTSD blogger, award-nominated author of multiple trauma/PTSD recovery books, popular keynote speaker and workshop/seminar leader, plus Certified Professional Coach, Certified Hypnotist and Master Neuro-Linguistic Programmer. For many years Michele hosted a radio program and podcast series dedicated to interviewing the top experts in the fields of trauma, psychology, neurobiology and recovery. A trauma and PTSD survivor herself, Michele affectionately calls her recovery process a “healing rampage.” It worked: Michele achieved 100% recovery. More than a decade later she remains symptom-free and dedicates her professional life to inspiring and assisting survivors in overcoming the effects of trauma, including fear, grief, loss, sadness, anger, agitation, sleep issues, stress and identity loss. 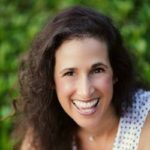 She is the founder of HealMyPTSD.com. Winner of the Mending Broken Survivor Advocate award, in 2015 Michele was also named a finalist for the WEGO Health Activist Hero award. She is a former faculty member of the Clinical Development Institute for Timberline Knolls Residential Treatment Center. Brain Injury Association of Tennessee, Department of Children and Family Services, LunaFest, JFK Comprehensive Cancer Institute, Bethesda Women’s Health Center, Susan G. Komen, Leukemia and Lymphoma Society, Florida Society of Clinical Oncology, Mental Health Association of Palm Beach County, National Alliance on Mental Illness, Jupiter Medical Center, Florida Atlantic University, Pasco-Hernandez Community College, Palm Beach County, Wellington Regional Hospital, Sexual Trauma Awareness and Response Center, South Florida Radiation Oncology and Florida Writers Association. Mindfulness Life Coach, Spiritual Guidance, Tarot Card Readings... Empowering you to shift through change and challenge with grace & ease.